Memorandum: 24. Intro to Hockey Equipment Pricing. Effective for the 2019-20 season, it will be mandatory that all games at the Intro to Hockey level are played on an ice surface size no larger than 100' by 85'. Blue four-ounce pucks are recommended. With these changes looming, associations should be equipped to provide the best experience for Initiation and Novice players. 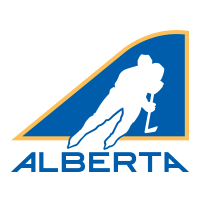 Hockey Alberta has arranged for special preferred pricing for Ice Divider Systems, Initiation-sized nets, and Blue Pucks.